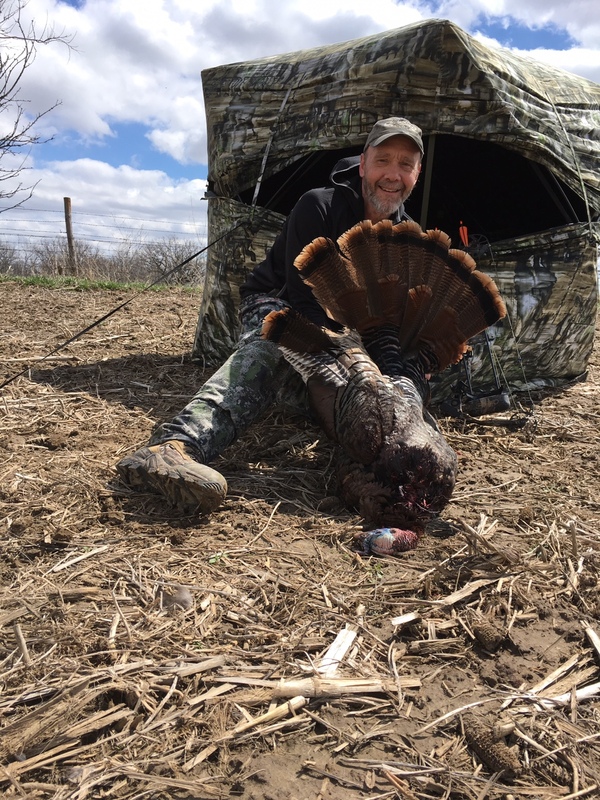 Discussion in 'Iowa Long Beard Conference' started by Ishi, Apr 13, 2019 at 10:00 PM. I hunted Thursday and Friday in the wind for 12 hours each day with 4 birds seen Thursday and none seen Friday. This morning I went back to the same spot that I yanked a 8 yd shot last year with the Bullheads. At 8:00 13 hens and 5 Toms all strutting came over the hill behind me and I wasn’t in there travel route. I called but the five toms weren’t going to budge. I watched them for two hours west on another hill. 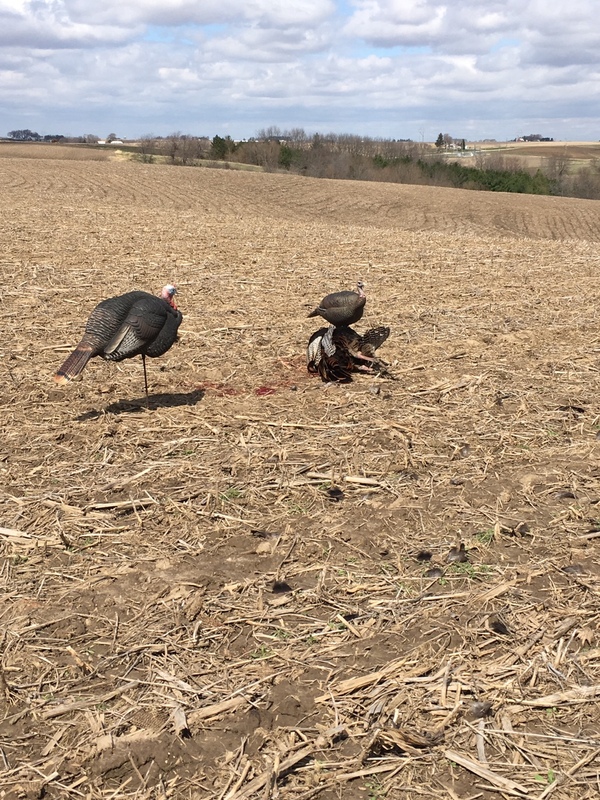 Around 11:00 I peeked out the roof flap and two Toms were 80 yards away so I quickly called and one raised his head but both went down the ridge out of site. I just finished my sandwich and still watching the group west when to my right he’s right there five yards from the blind going to the Jake. After several tries to get some decent photos with the dumb iPhone on 10 second delay I gave up and settled for these pics. As always very blessed and thankful to hunt with the bow and arrow. deerhunter93, 4DABUCKS, fatboy and 6 others like this. Now that is putting a hurt on him. 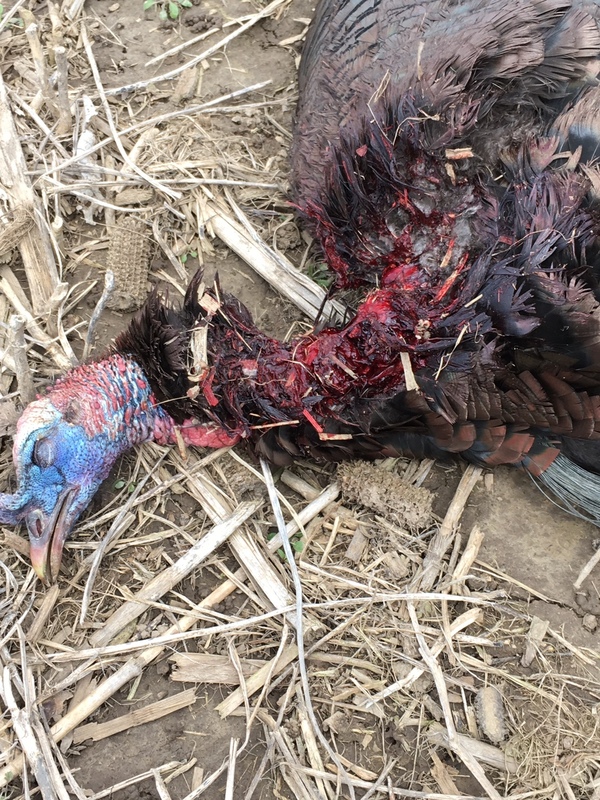 Good grief, that blood trail is crazy. The 2nd picture shows why. 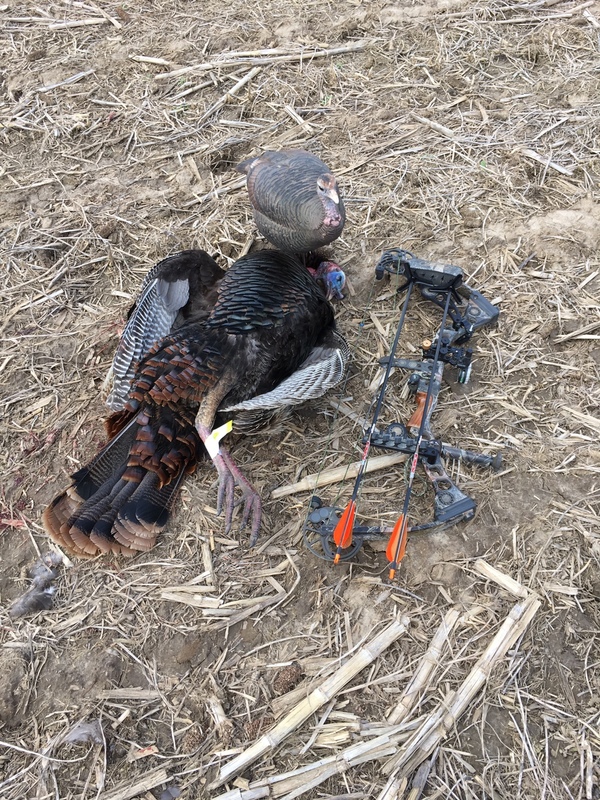 Great job man, congrats on a great bird!